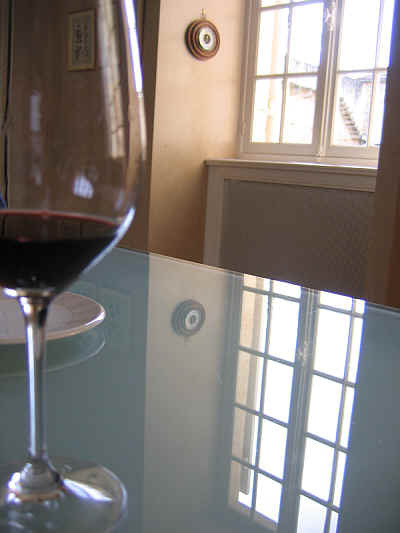 In search of more good wine (and perhaps a beer), I hopped on a plane and headed for Paris in mid-February. 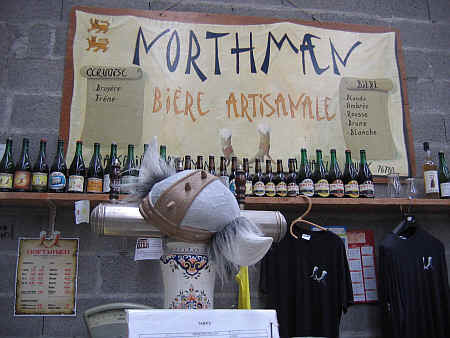 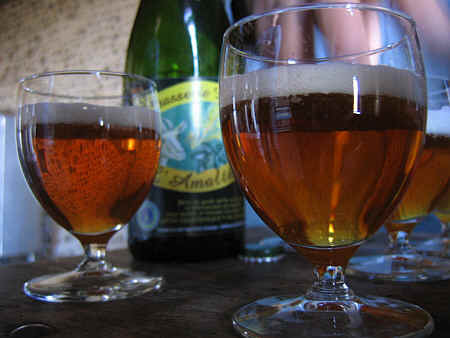 We began at a little brewery, though, in Normandy. 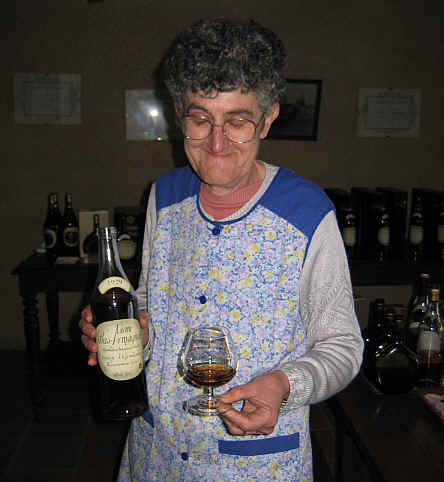 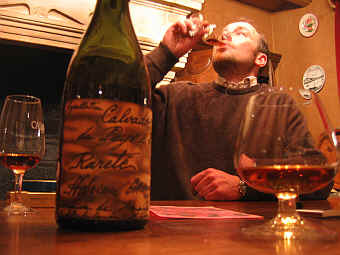 Our "Tour de France" continued and it was on to meet the Camut brothers, producers of the best Calvados. 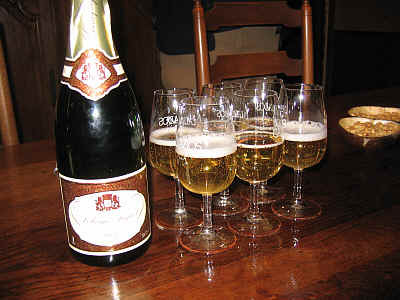 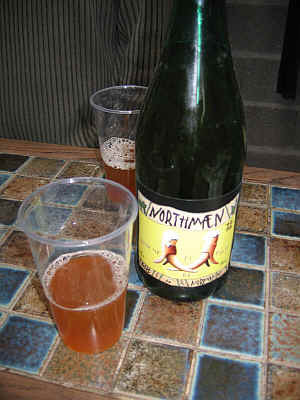 We began the festivities with a bottle of Champagne, before driving to the nearby city of Rouen. 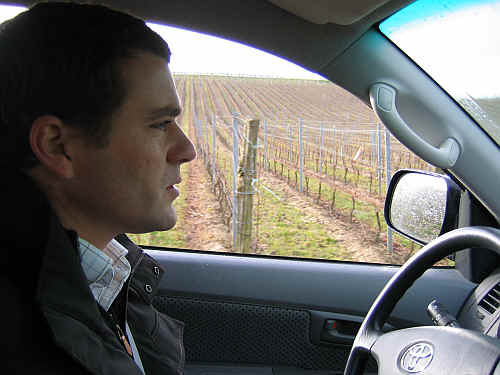 We drove to Rouen and the Camut brothers instructed Charles to leave the rental car near the restaurant, as there were several other vehicles parked there. 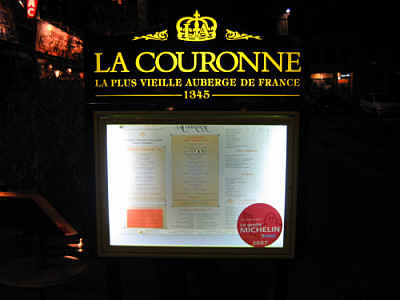 The walls are covered with photos of celebrities who've made the pilgrimage to La Couronne, a place which claims to be the oldest "auberge" in France. 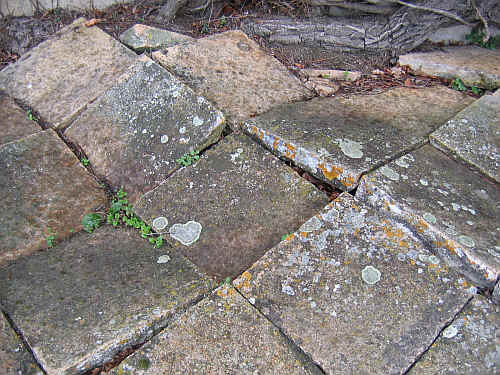 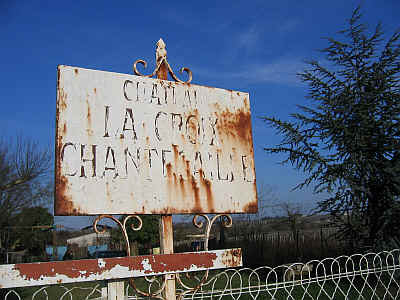 The place was founded in 1345. 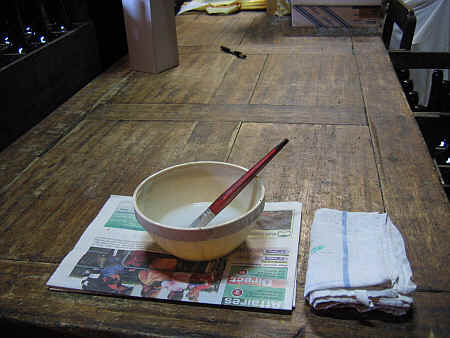 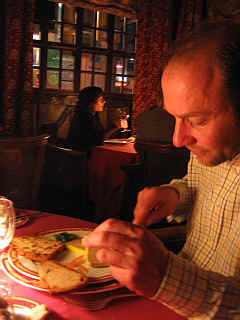 Happily the bathrooms and dining room have been updated this past century. 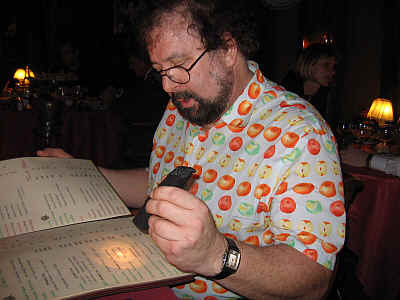 Despite the dark dining room, I had a flashlight and was able to read the menu. 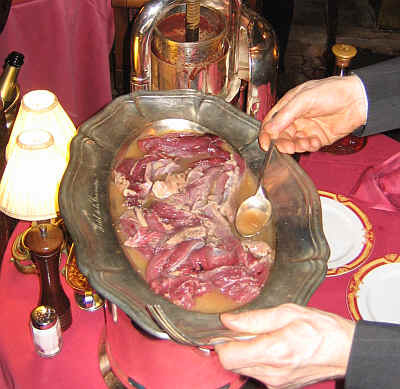 Le Vritable Canard la Rouennaise la Presse. 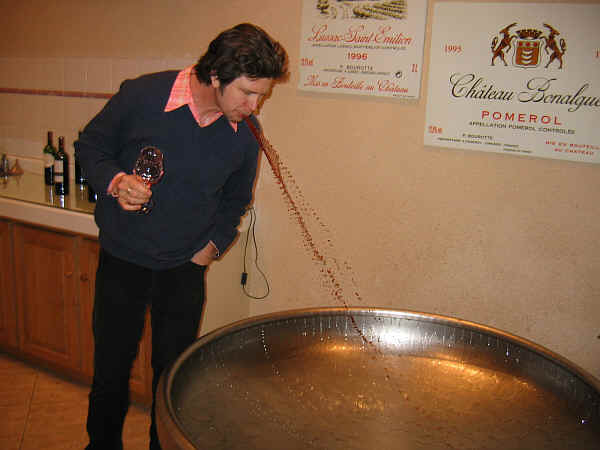 This is quite a spectacle. 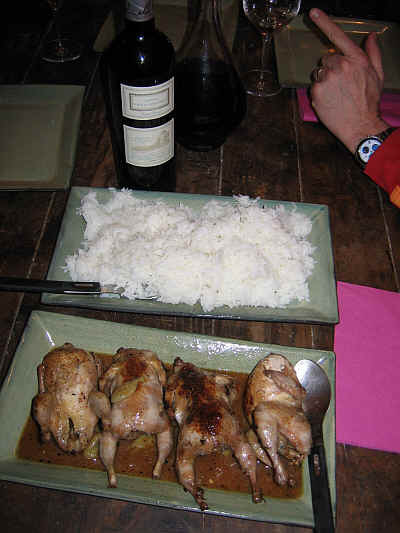 They bring the duck(s) to the table before getting down to business. 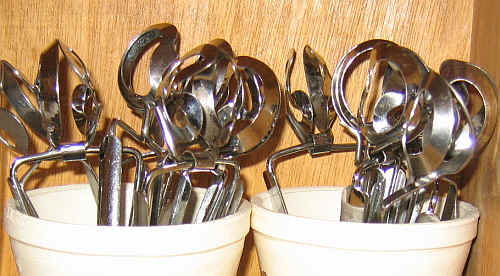 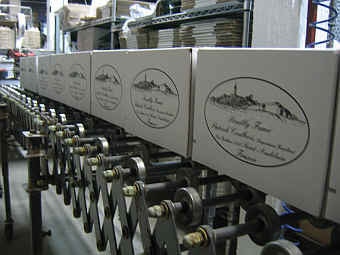 They're then filleted and parts are "pressed" in their famous silver "duck press." 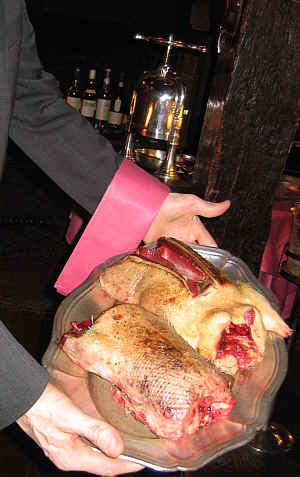 Duck innards are placed in the press and squeezed, with red Burgundy being added for the sauce. 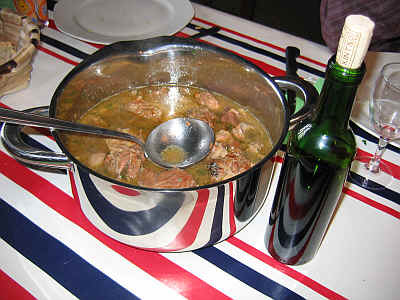 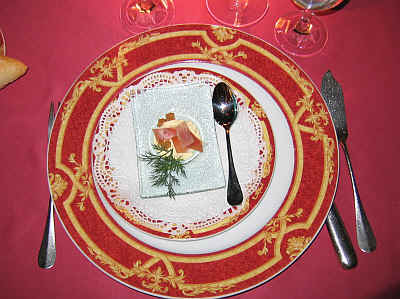 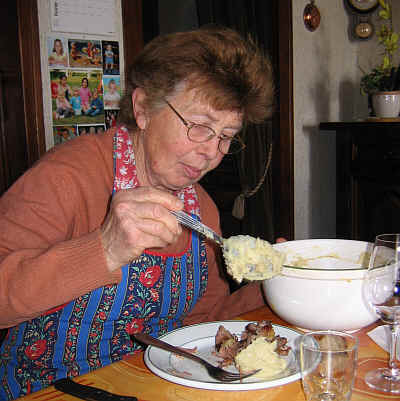 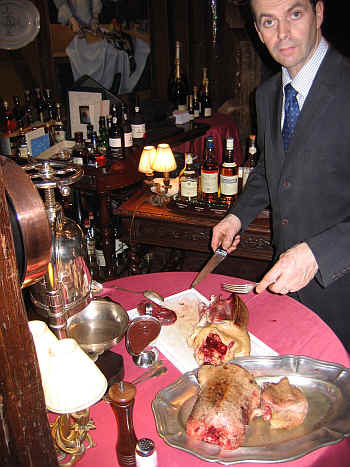 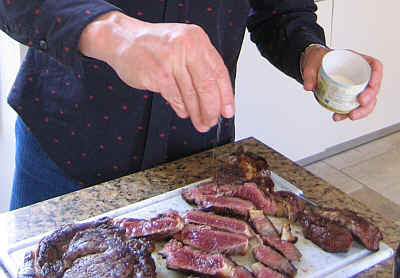 Having a platter of duck, the fellow then adds some brandy and prepares to flame these pieces. 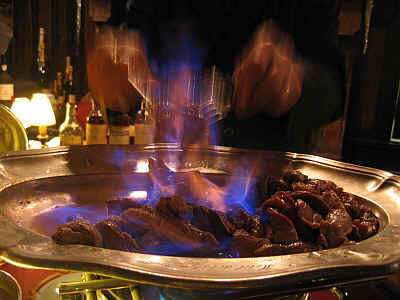 The dining room falls silent as our server flambed the duck. 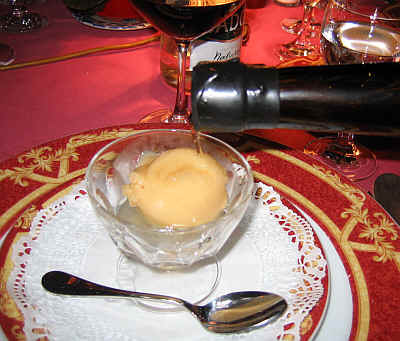 As a palate cleanser between courses, we had an apple sorbet topped with a bit more than a splash of Adrien Camut Calvados. 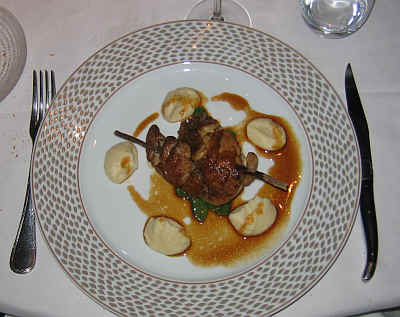 Then the duck arrives...the sauce, much of it from the "press", makes for a very rich main course. 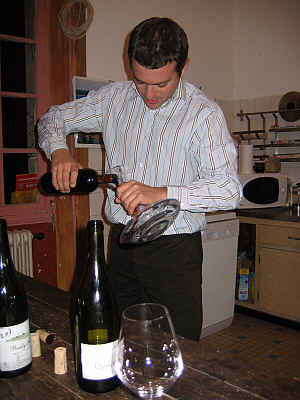 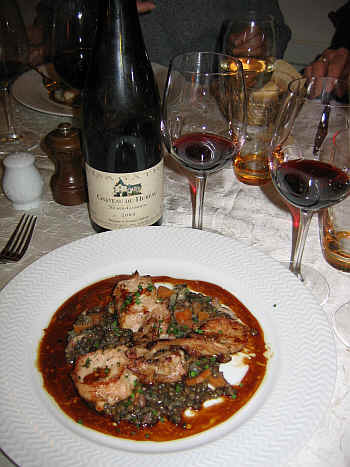 We enjoyed a nice Rhone wine to start and then a bottle of Burgundy. 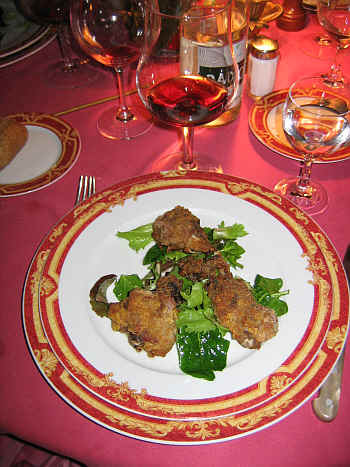 Then, a second serving of duck arrives, this time some pieces which have been nicely fried (as though we needed more food at this point!). 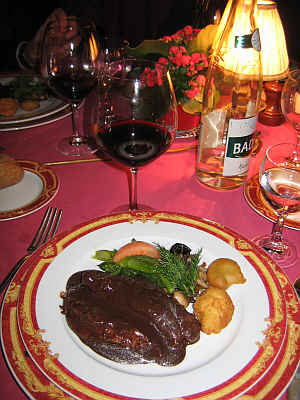 Dinner was splendid and we departed the restaurant around midnight. 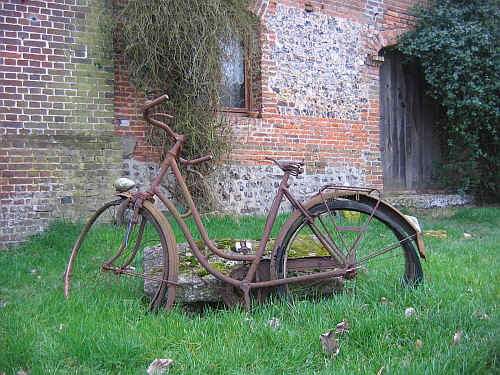 The car had been parked about a block away and we noticed something curious when we got there...the car was missing! 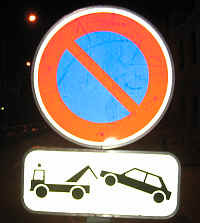 A taxi was summoned and we made our way to the towage yard in Rouen, a busy place in the wee hours of the morning. 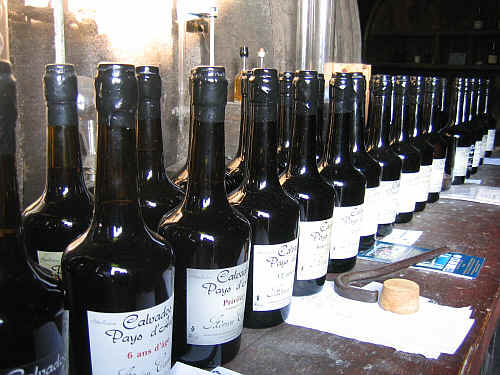 This "Rarete" bottling, as it turns out, is quite rare, indeed. 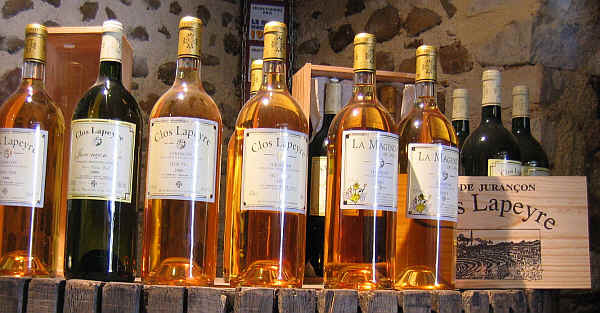 In Europe you might find it selling for the equivalent of $600-$700 a bottle! 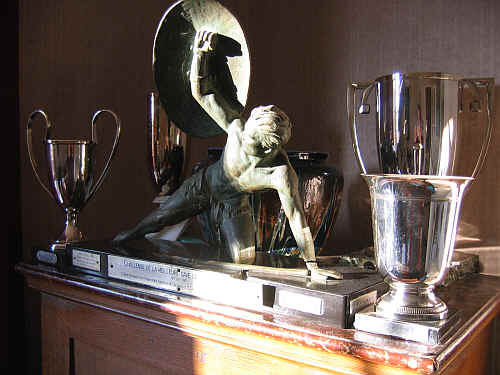 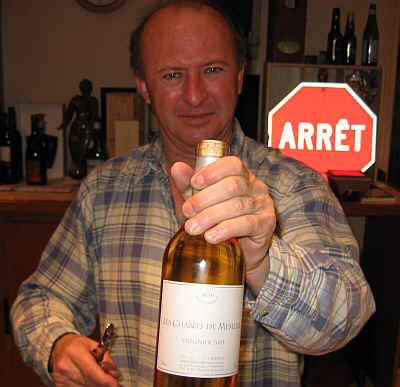 Camut has won numerous awards and trophies for their Calvados, but none for their skills in parking a car. 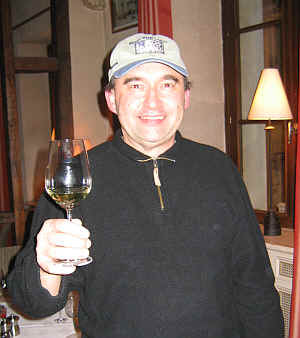 We then visited the "top" producer in the Sancerre region of Chaudenay, Etienne Daulny. 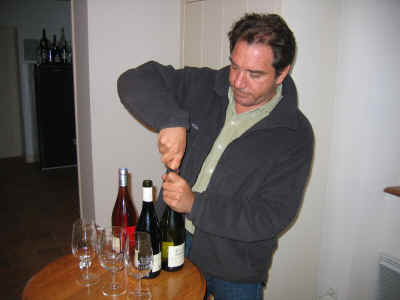 Daulny's Sauvignons were wonderfully citrusy and minerally...and he made some good Pinot Noir, too. 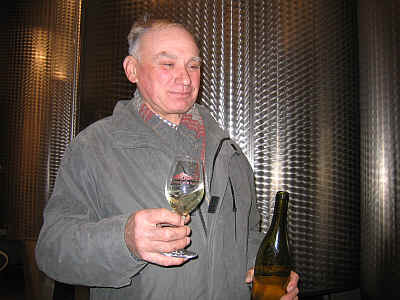 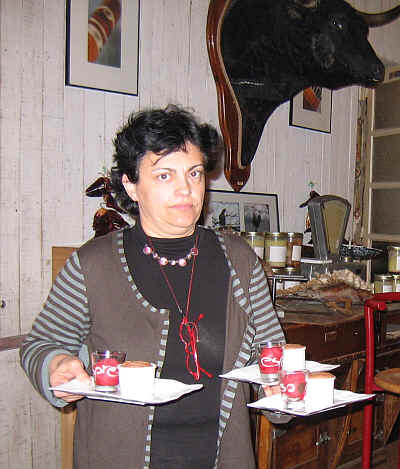 Meeting us at Daulny's winery was Adele Rouze, a noteworthy producer of Quincy. 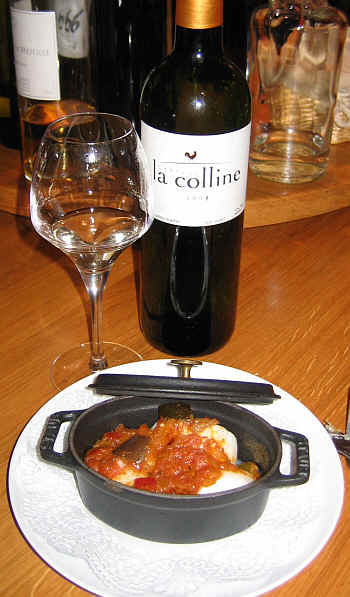 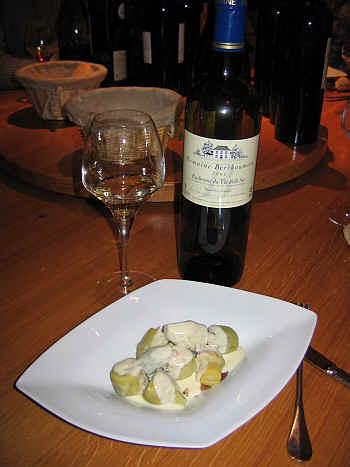 I liked the very herbal expression of her Sauvignon, which has the pungency of tomato leaves. 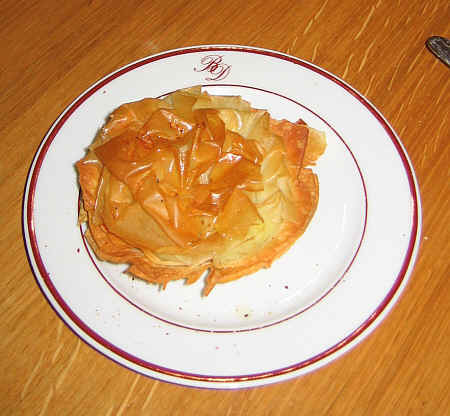 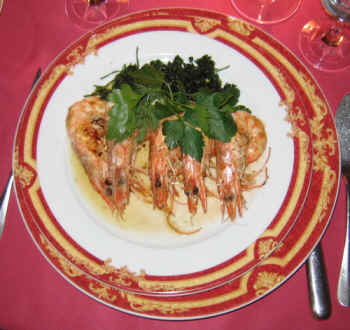 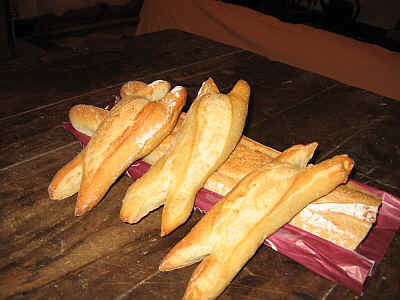 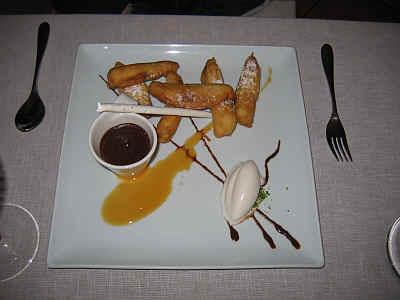 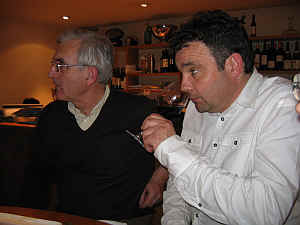 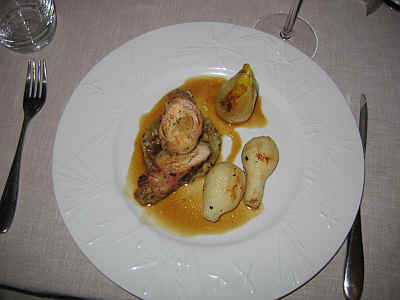 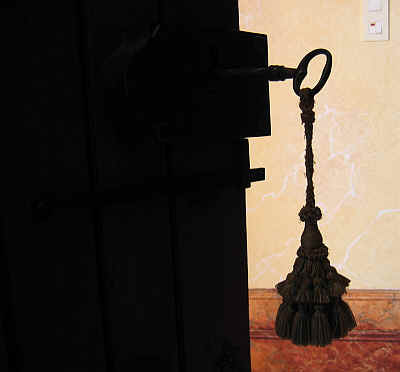 We went off to the La Tour restaurant in Sancerre...a nice place with good eats. 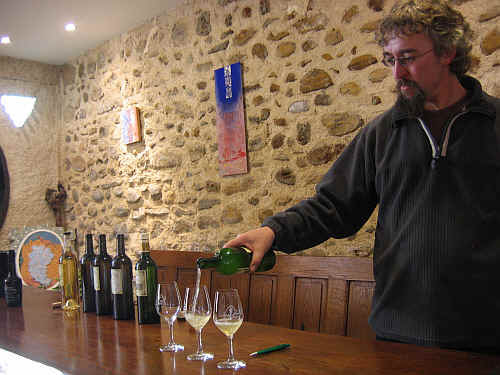 We stopped at a little producer of Valencay wines, hoping to make a discovery. 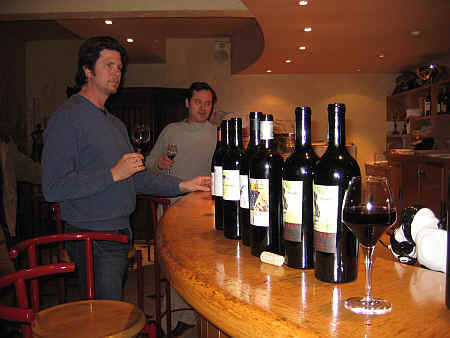 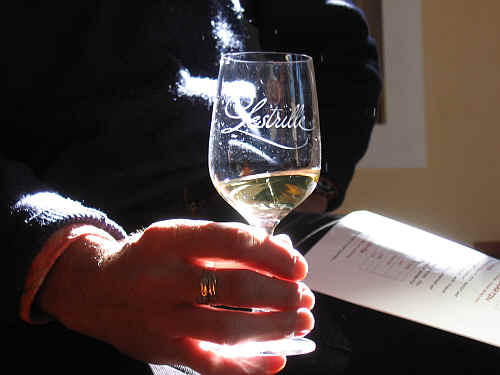 The wines are drinkable, but not exceptional. 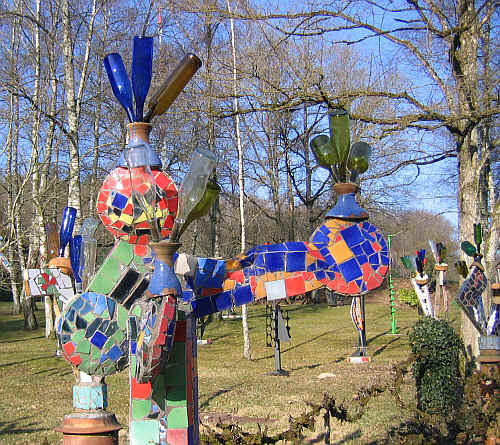 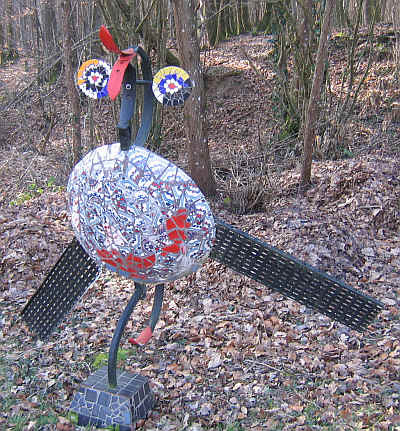 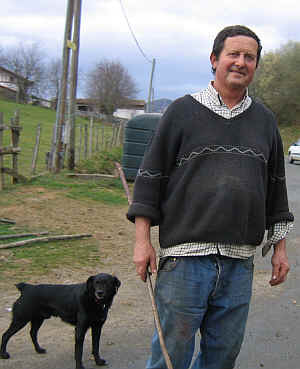 My traveling pal has a rather weak bladder, apparently, and frequently stops to irrigate the French countryside. 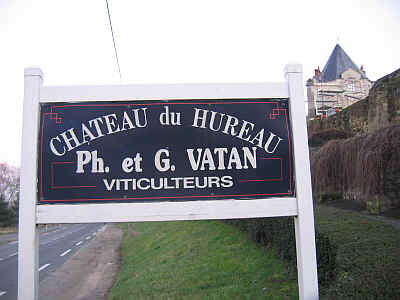 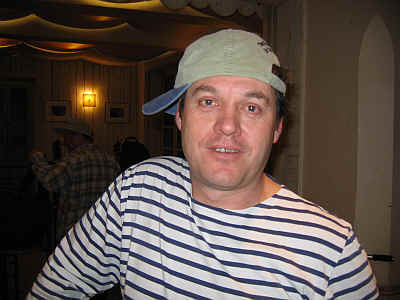 We continued down the road to Saumur and our friend Philippe Vatan. 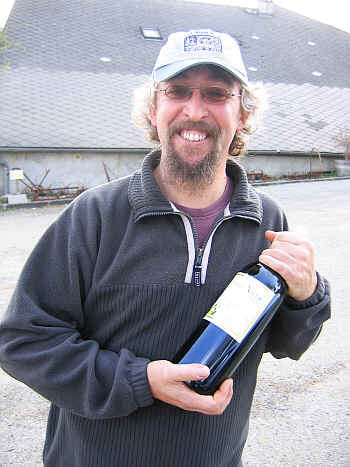 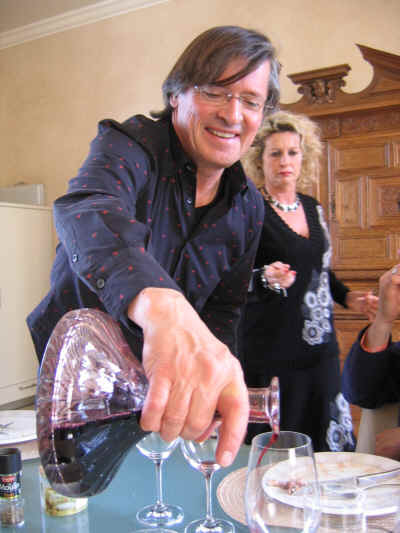 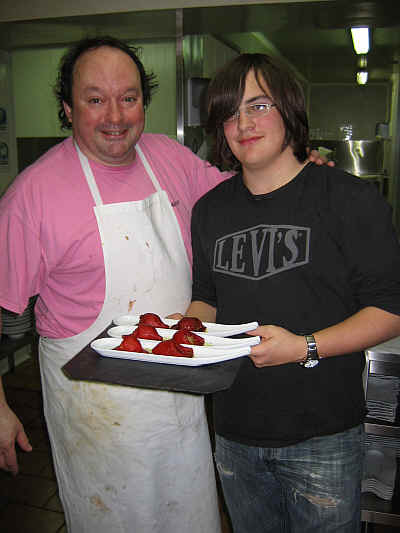 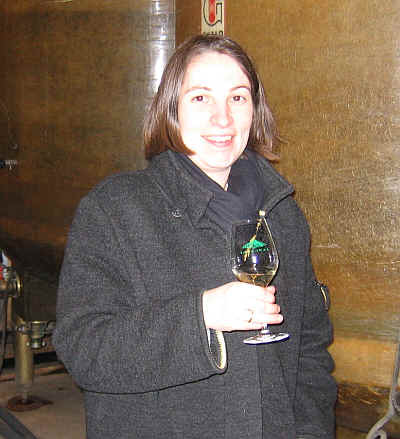 You'd be smiling, too, if you made wines of the quality of Philippe's! 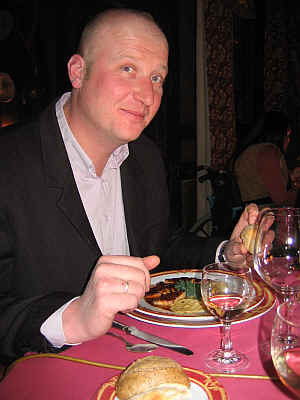 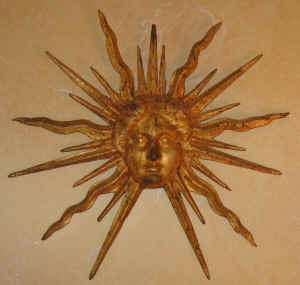 After tasting some terrific wines, we ventured to Tours and the lovely L'Escargot restaurant. 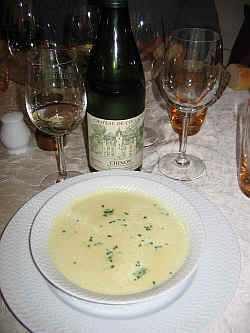 We had a nice little Chinon Blanc and a bowl of cauliflower soup. 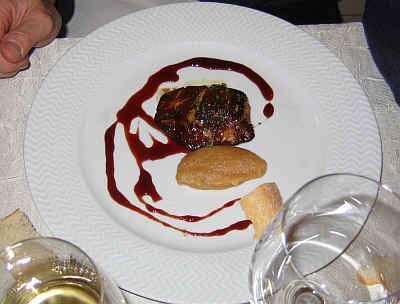 Charles ordered the foie gras. 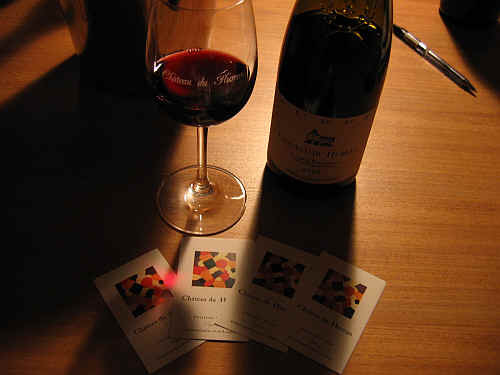 Philippe brought one of his lovely Saumur-Champigny wines. 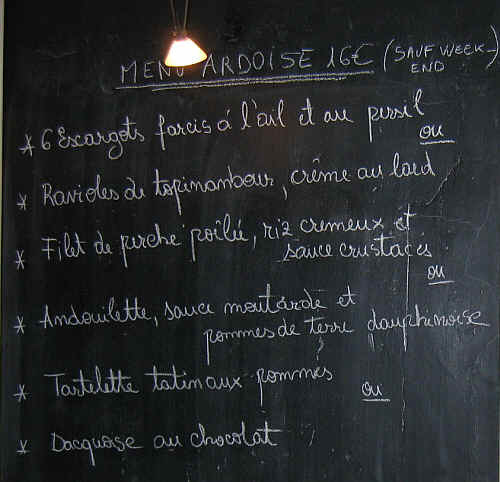 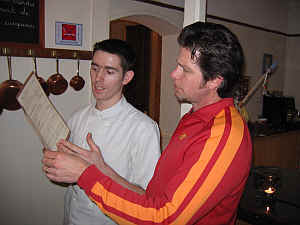 As we were leaving, the chef translated the menu for Charles. 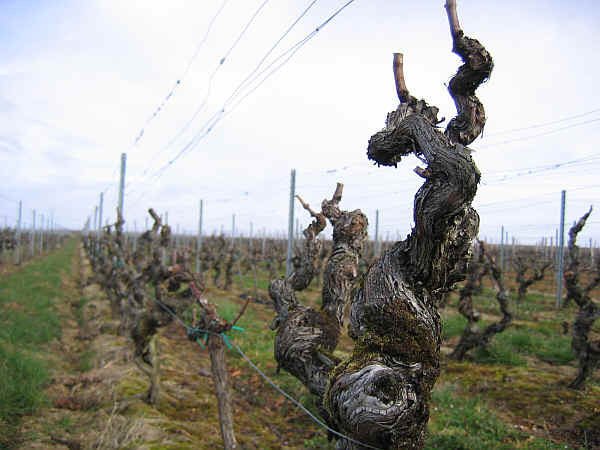 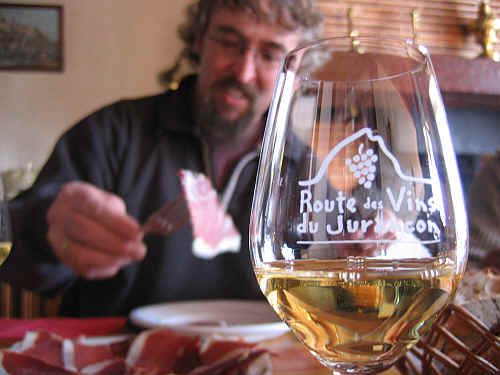 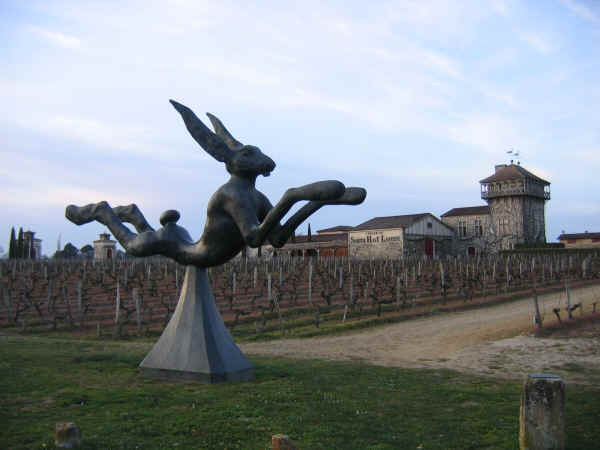 From Tours, our tour continued as we motored down the highway to Bordeaux. 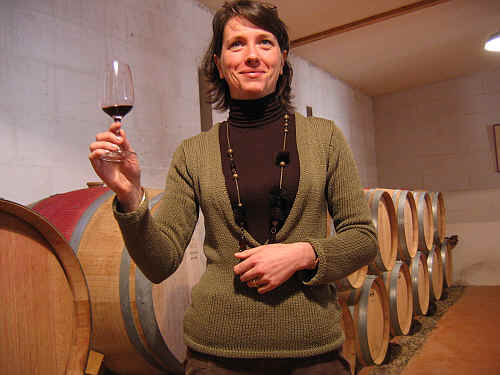 Estelle Roumage and her Pop, Jean-Louis, run this lovely little estate. 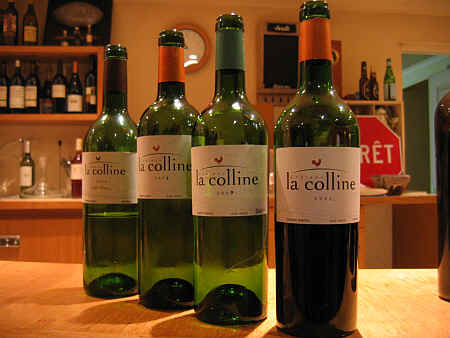 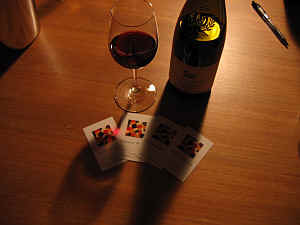 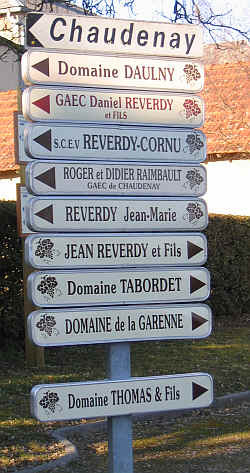 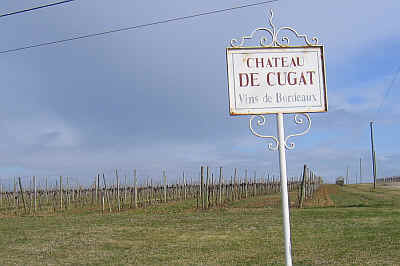 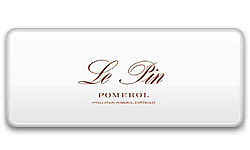 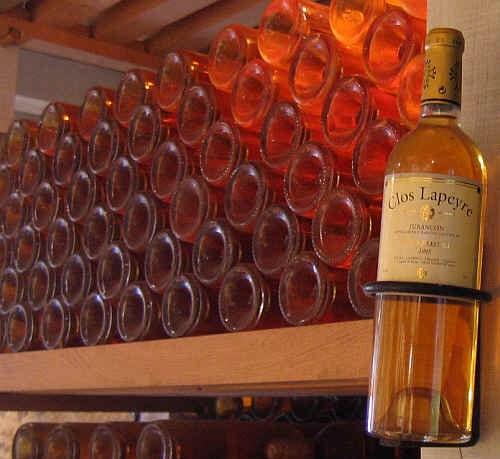 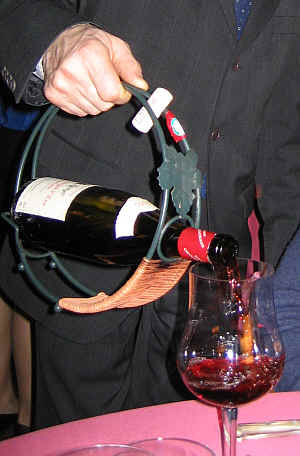 Most of their wine is sold to private customers around France. 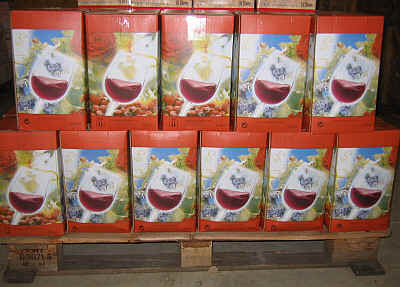 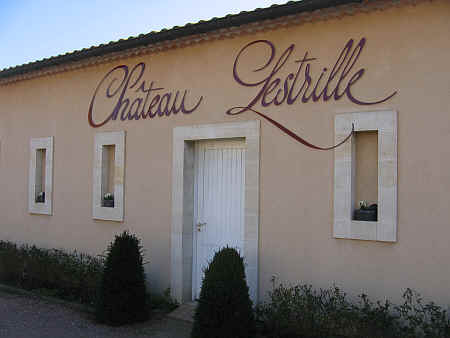 We manage to get a few cases for the shop and our clients are pleased with the Lestrille wines. 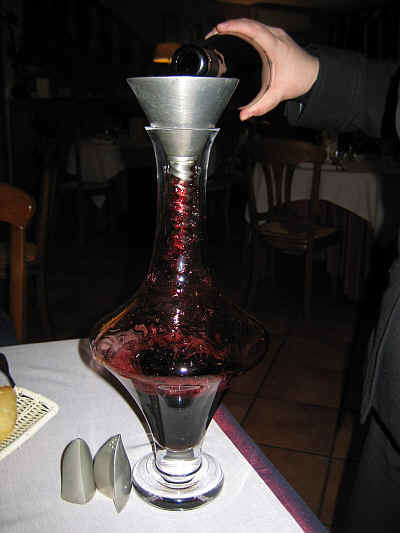 After tasting a number of different bottlings, we ambled down the street to the L'Atmosphere's restaurant. 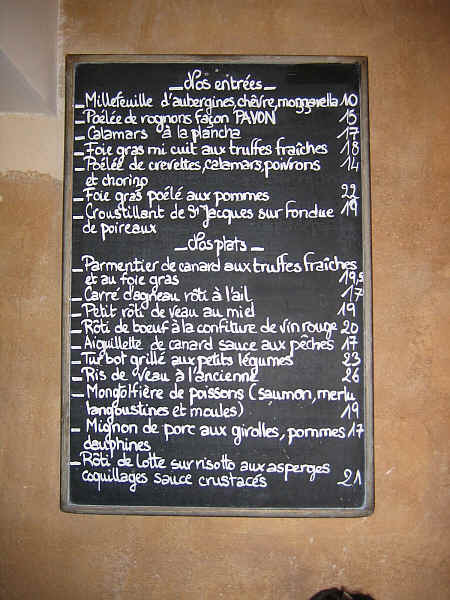 Wouldn't you like to have this sort of menu down the block from your house? 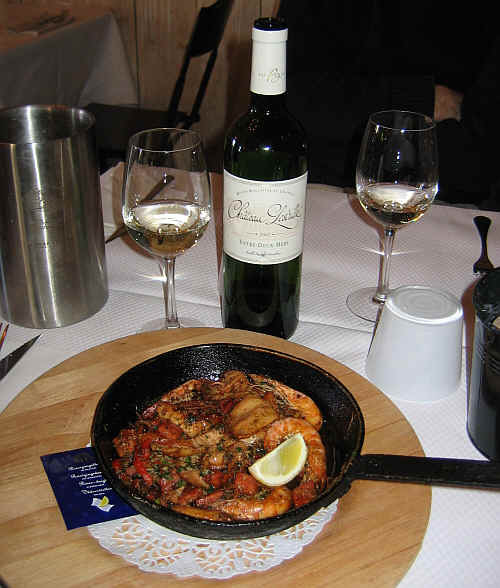 I ordered the seafood starter...a nice pan of shrimps, calamari, peppers and chorizo. 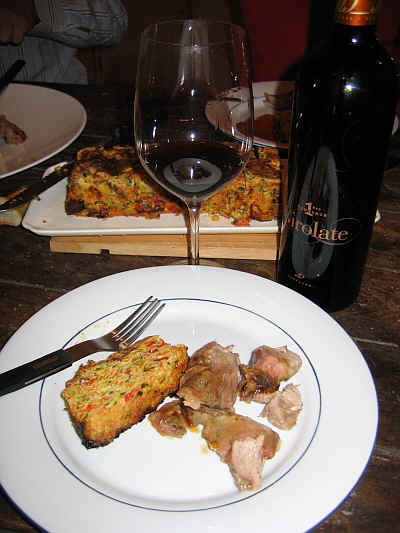 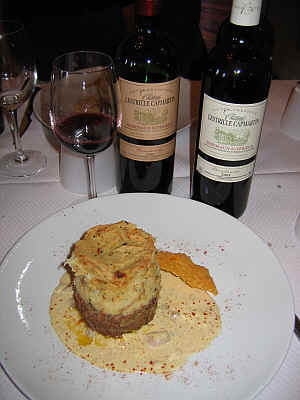 The red wines from Lestrille were very good and even better with the Parmentier of duck, truffles and foie gras. 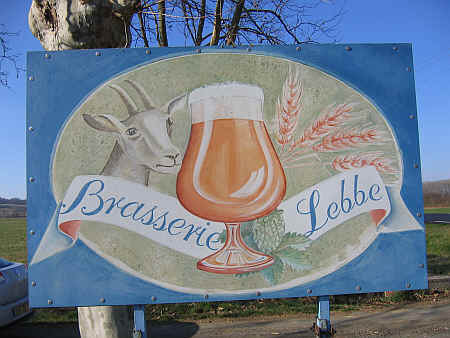 If you're near Libourne, you might want to make a small detour to this place...the food was good and the prices are reasonable. 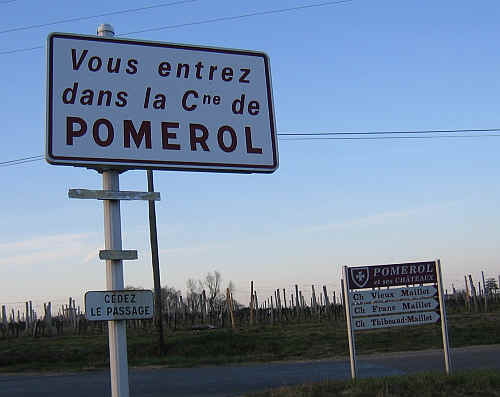 We then visited a few little estates within the Pomerol and St. Emilion regions. 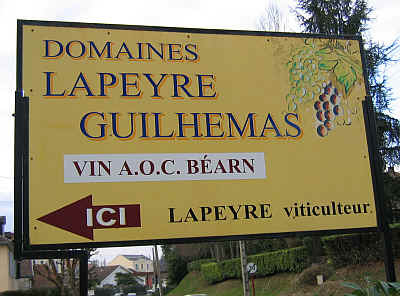 Here's the new sign at one estate. 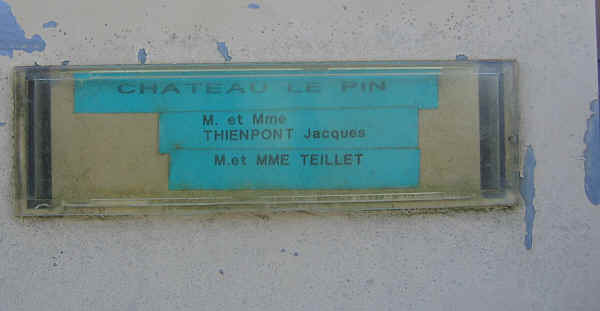 Well, it was new in 1950. 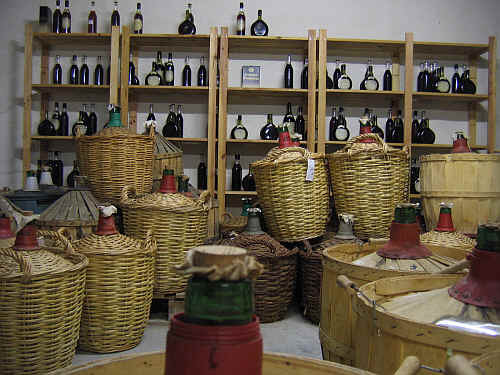 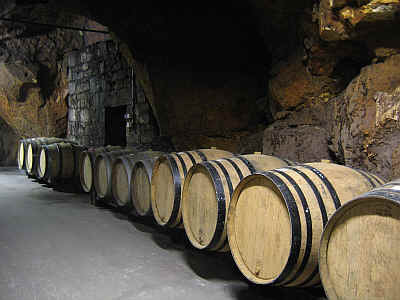 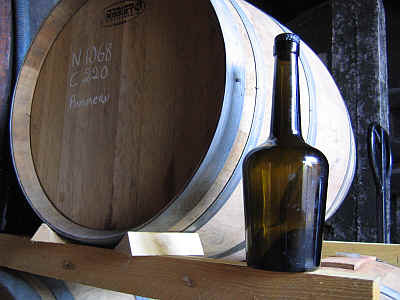 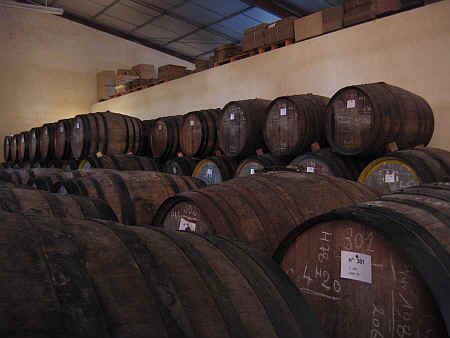 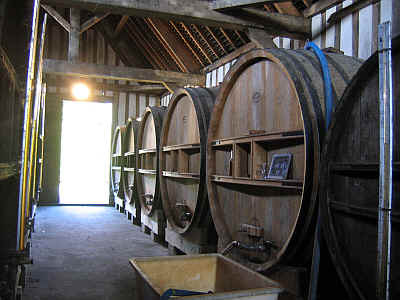 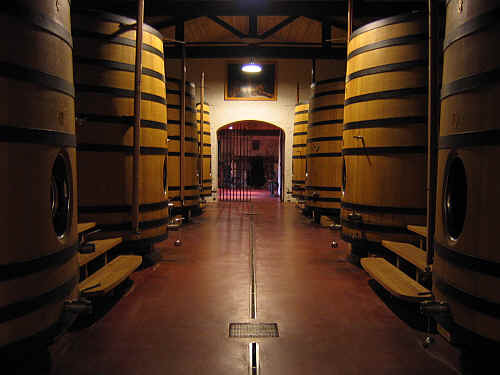 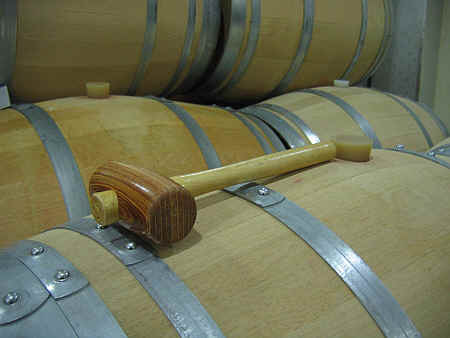 The barrels, however, are from a far more recent vintage. 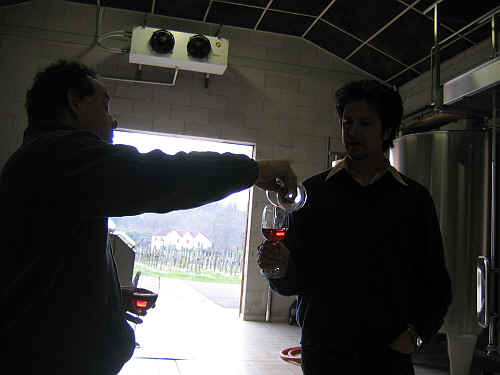 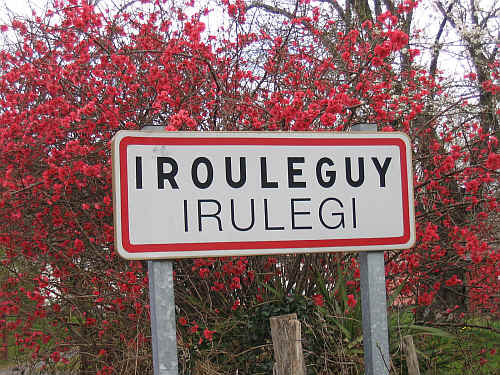 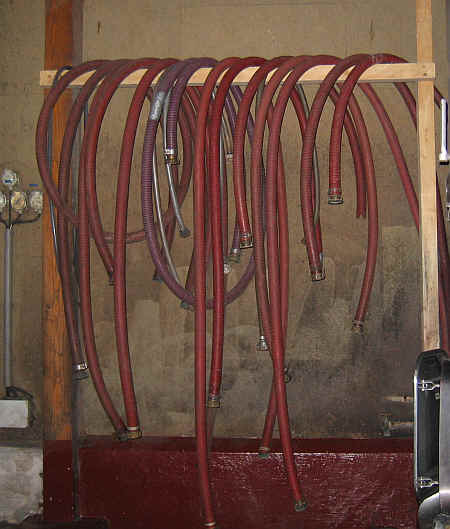 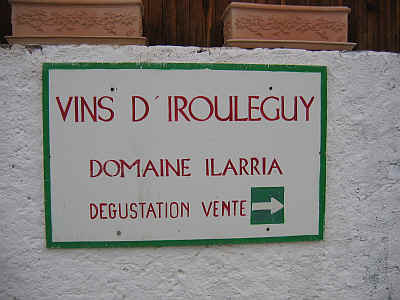 Here's a nice gem-of-a-winery with some good "vin rouge." 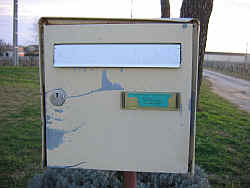 Nearby we found the mailbox for a well-regarded little property called "Le Pin." 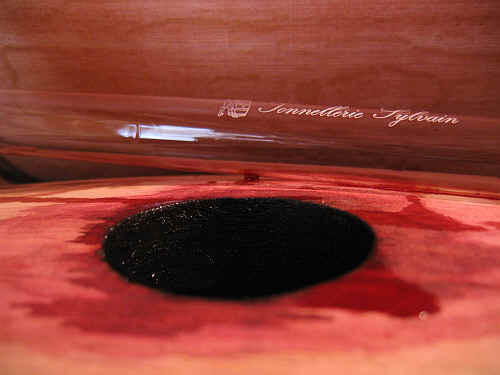 Apparently the hundreds of dollars they get for a bottle of their rare artistry doesn't cover replacing the mail box with something more fancy. 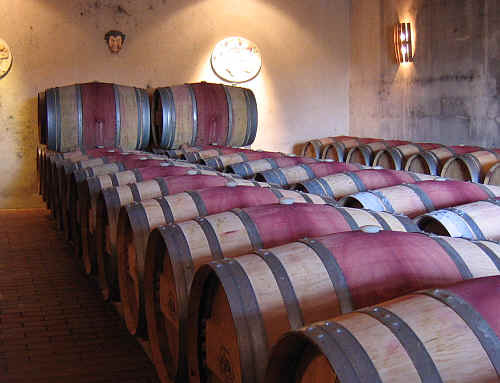 Then we ventured to the palace of Thibault Despagne, proprietor of several favorite Bordeaux properties, including Girolate, Tour de Mirambeau and Rauzan Despagne. 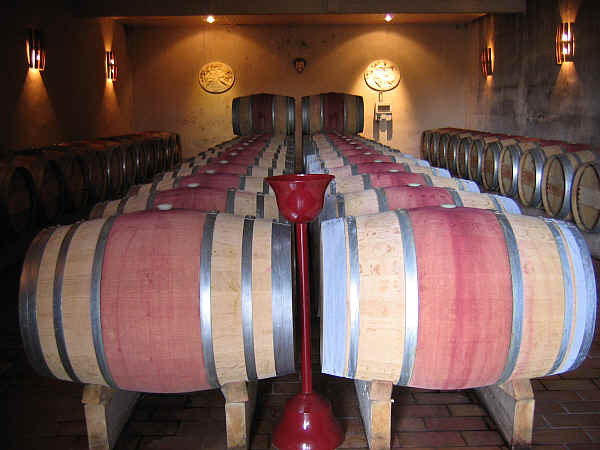 We're big fans of Girolate, a big, deep Bordeaux. 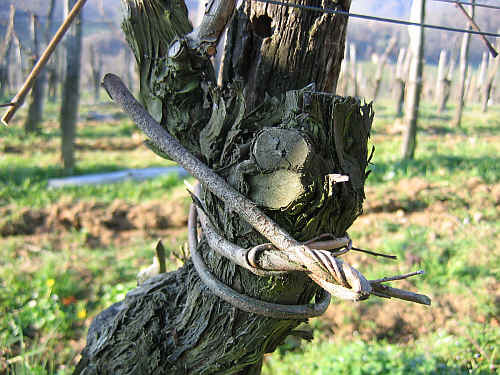 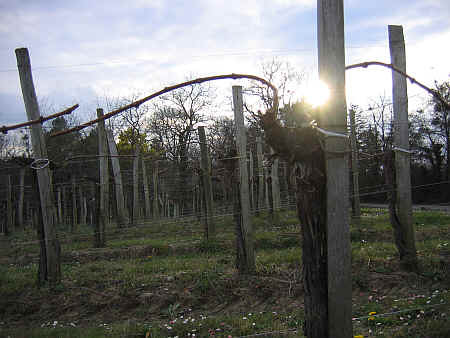 The following morning we went to have a look at some Despagne vines. 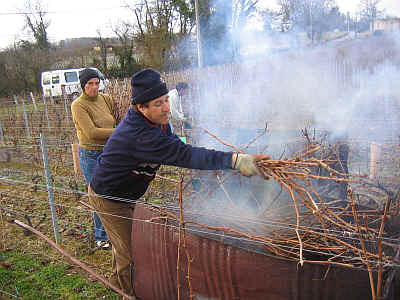 We found a crew of vineyard workers pruning and manicuring the estate. 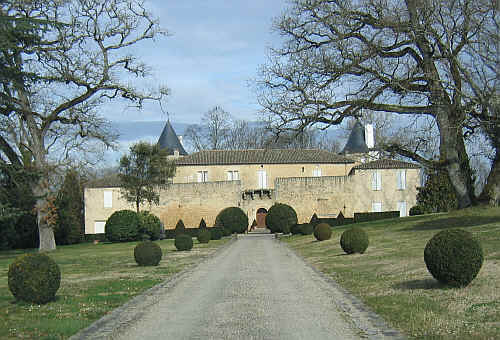 After the Tour d'Espagne, we visited the Chateau de Cugat. 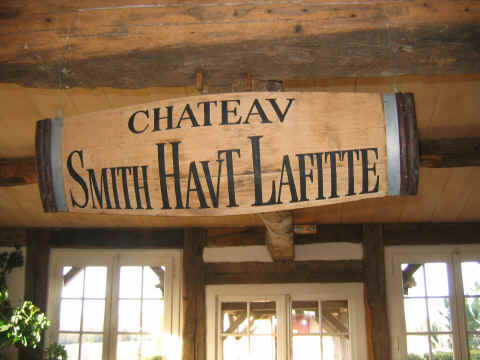 After tasting Benoit Meyer's terrific Bordeaux wines, we ambled to the chateau for lunch. 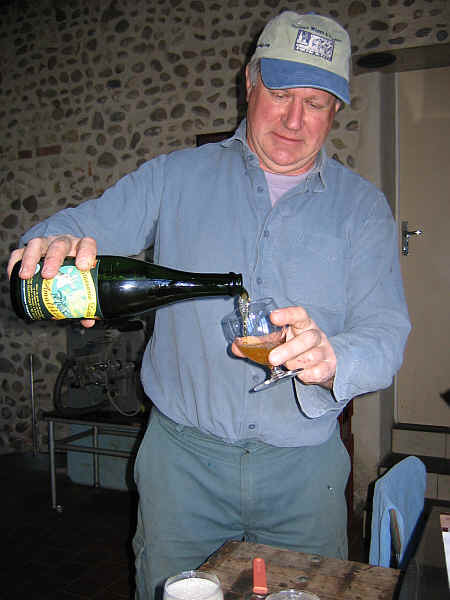 A bottle of Alfred Gratien's 1998 Champagne was delicious. 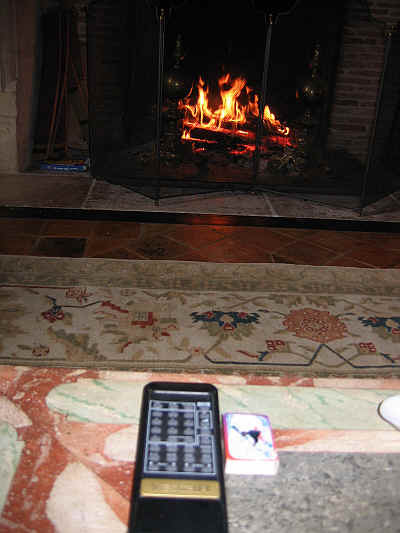 I had never seen a fireplace with a "remote control". 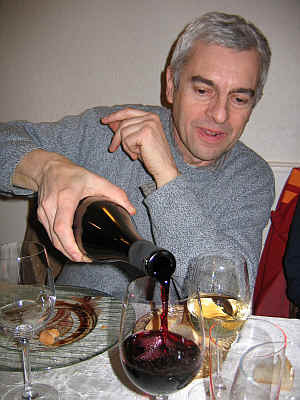 We've dined together a couple of times and Benoit is not averse to drinking wines from other estates. 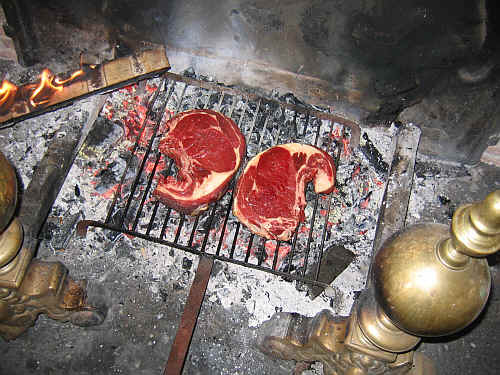 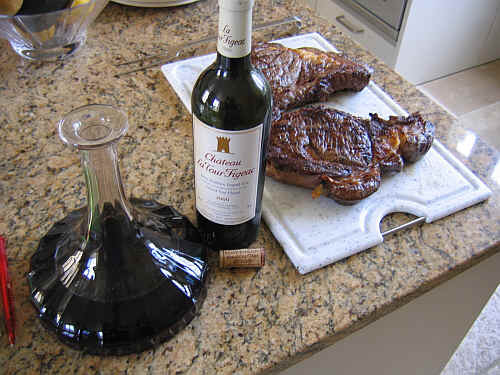 We did, however, enjoy some of his deluxe "Cuvee Francis Meyer" with the steak. 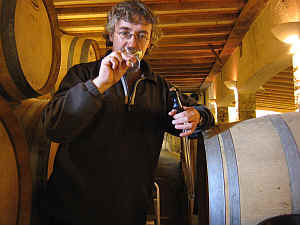 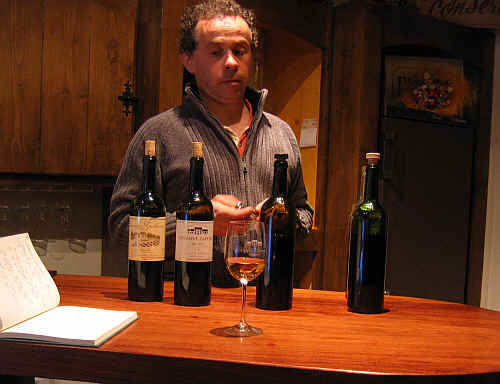 Wine grower Peio Espil of the Domaine Illaria. 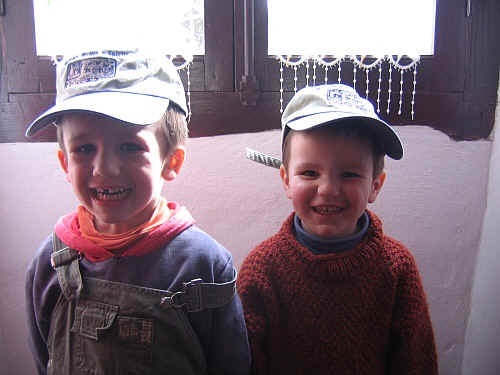 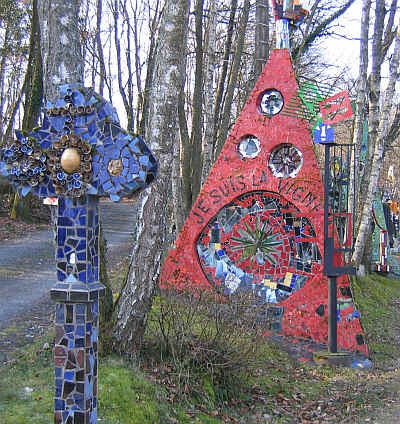 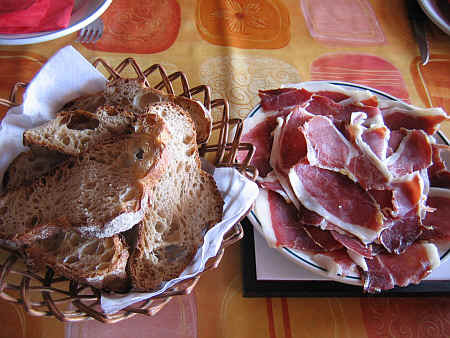 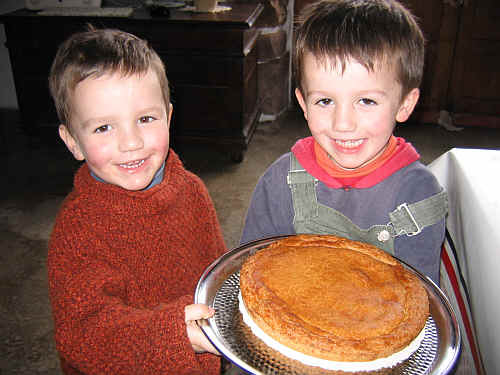 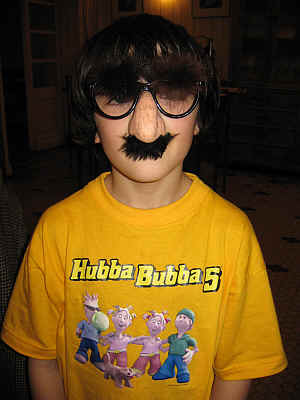 You know that Basque kids are "Basquettes," don't you? 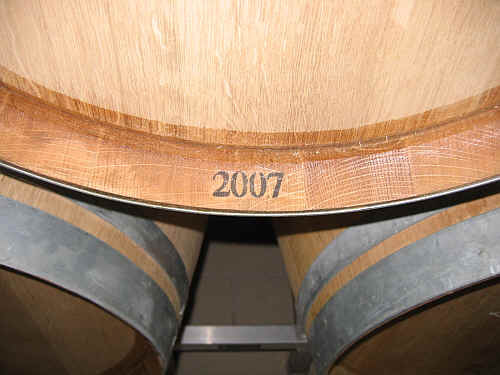 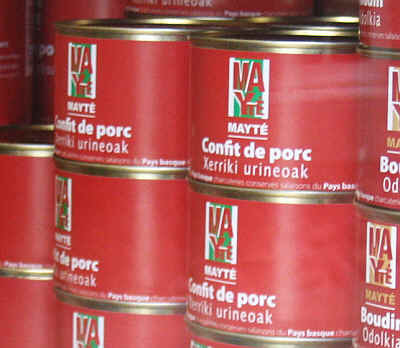 I know some people are pissed off about wines being aged in too much new wood, but I'd never seen a can of "urineoak" before. 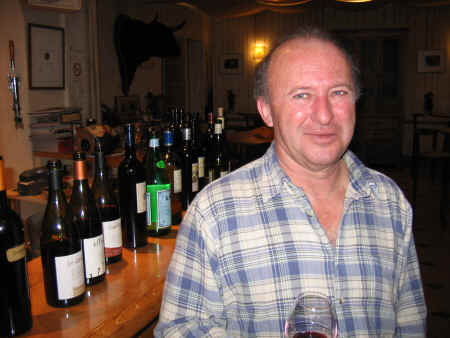 We then drove to Barn to see Pascal Lapeyre, the only independent producer in the appellation. 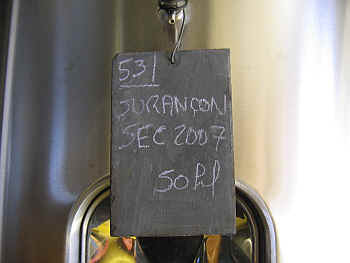 I really liked the wines here this year...very fine. 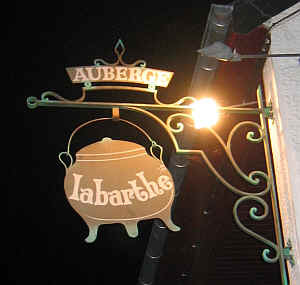 After finding a hotel room in the Juranon area, we booked a table at the Auberge Labarthe, a one star restaurant according to the Guide Michelin. 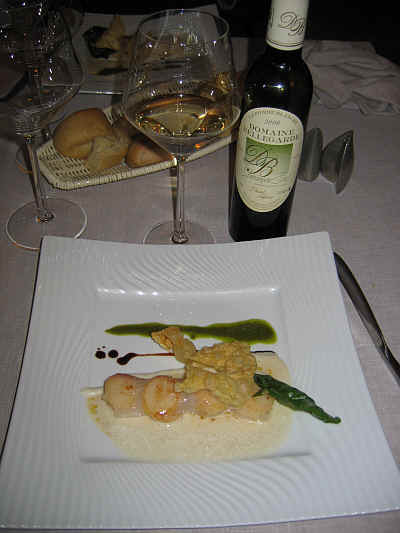 This was a sea scallop dish topped with a transparent bit of "film" which was some sort of lard. 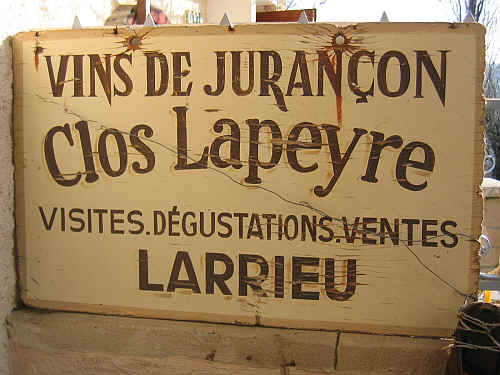 In the morning we drove up the hill to visit Jean Bernard Larrieu of Clos Lapeyre, a top Juranon estate. 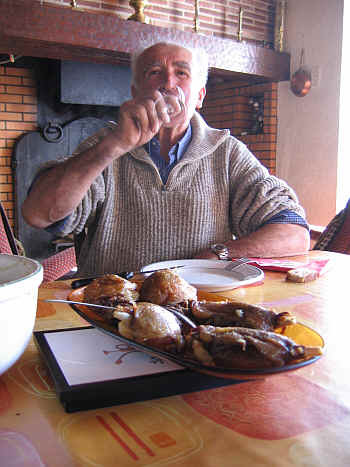 Jean Bernard and his pop. 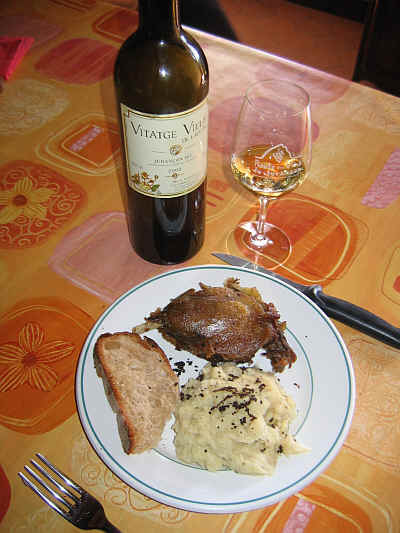 Duck Confit with mashed potatoes topped with freshly-shaved truffles and some old vines Juranon. 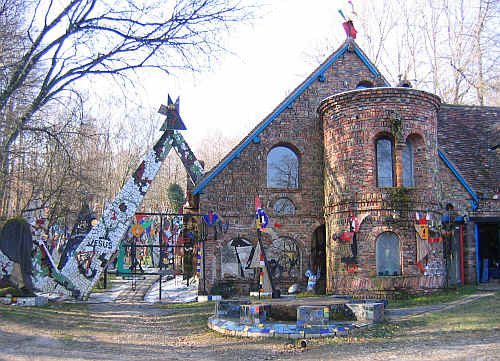 It's not as fancy as the one star place, but perhaps more satisfying. 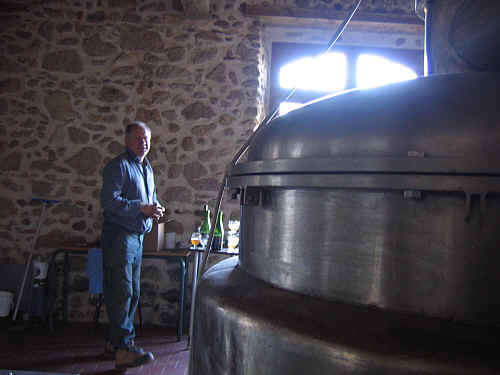 We get some beer from Monsieur Lebbe, a little brewer in the middle of no-where. 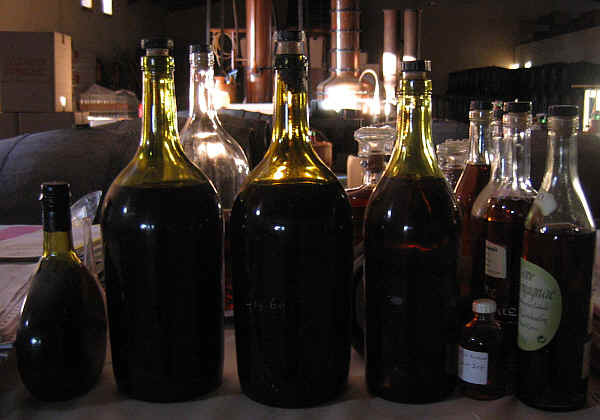 How about a sip of our 1929? 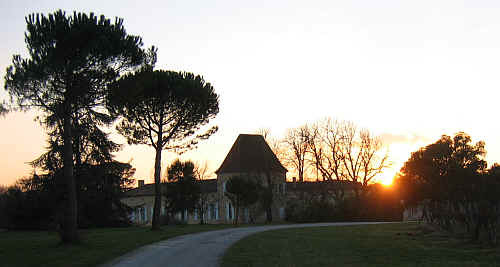 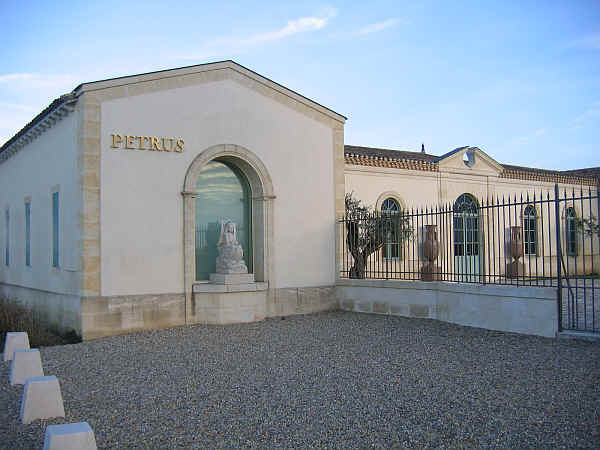 PELLEHAUT, the fantastic little estate of the Beraut family. 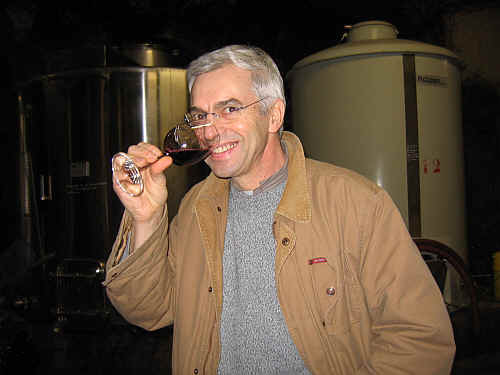 Pierre Speyer of Domaine Laffont. 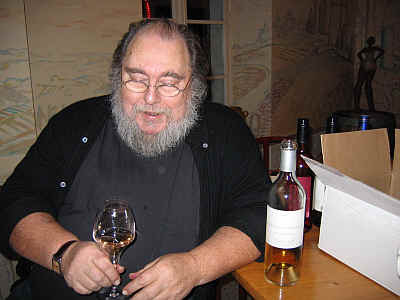 Chef Bernard Daubin joined us for a moment, in between prepping dinner. 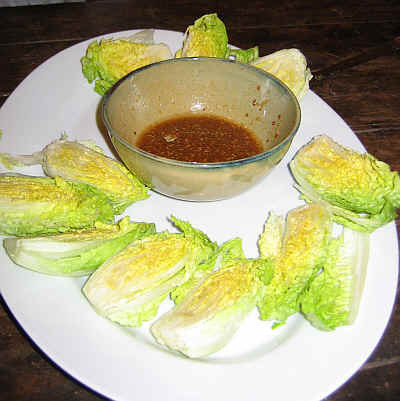 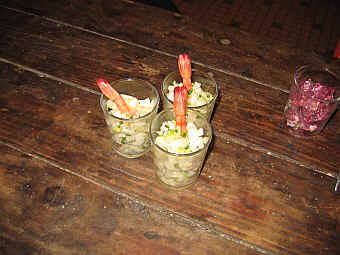 How's this for a little starter? 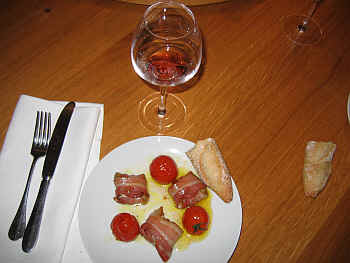 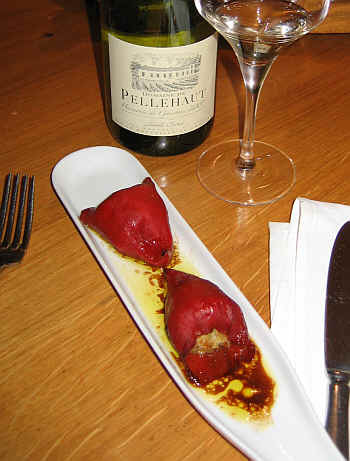 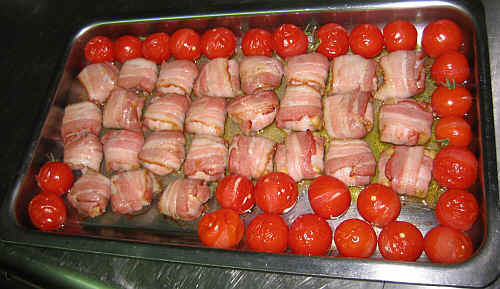 The tomatoes are the "antidote," along with some wine for the bacon-wrapped packages of foie gras! 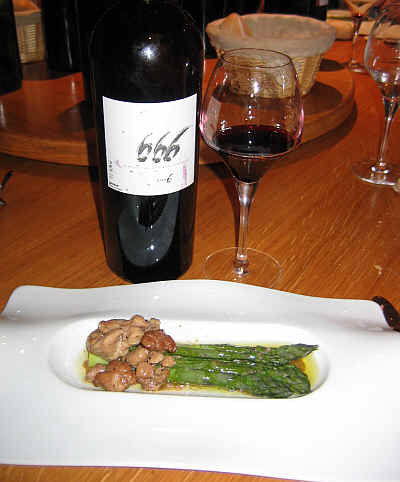 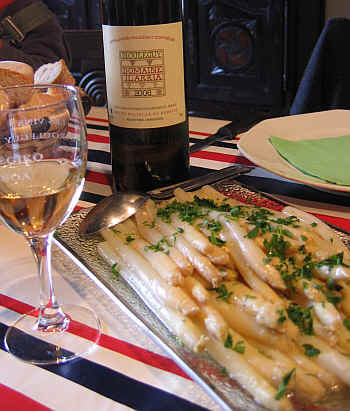 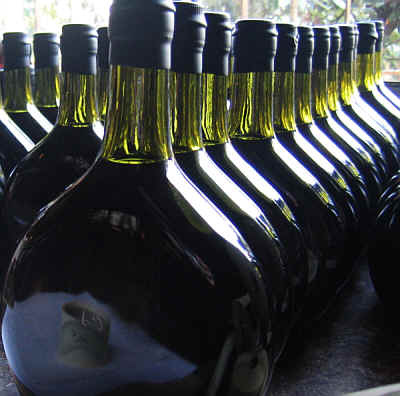 A special bottling of Madiran, "666" accompanied a plate of fresh asparagus with riz d'agneau. 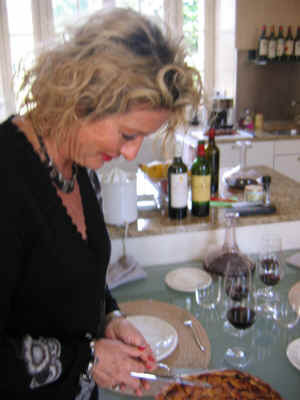 The fruit sorbet was a welcome 'relief' after such a big gastronomic marathon! 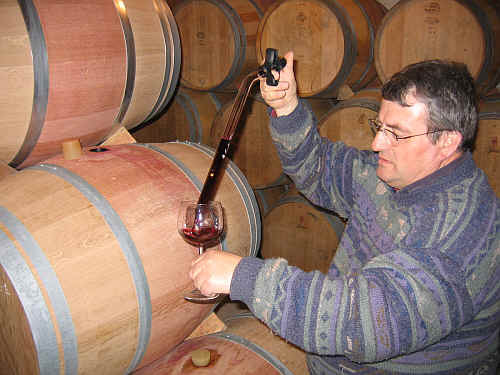 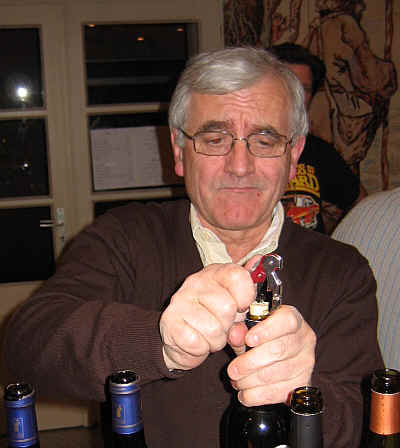 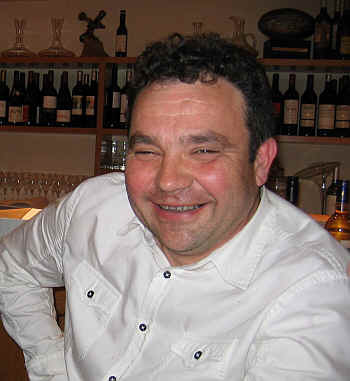 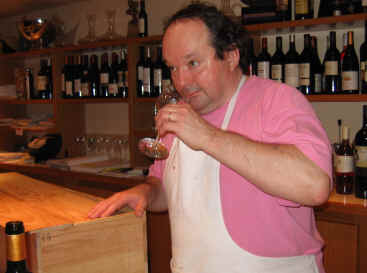 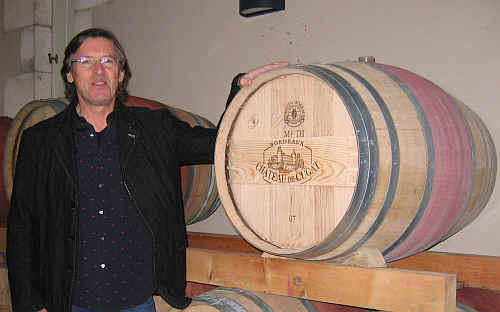 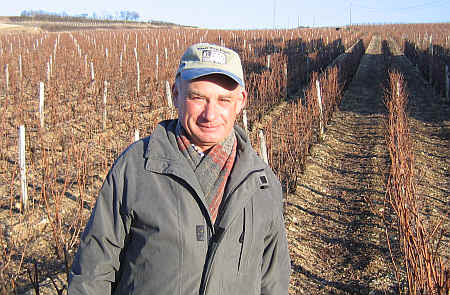 Didier Barr, proprietor of Chateau Berthoumieu. 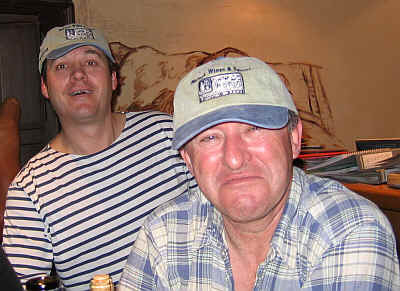 Mister Bergerac and one of the Misters Madiran.